There’s never a dull moment in the SEO industry. Every time the search engine giant, Google, makes an announcement, it has the potential to turn everything on its head. This is exactly what happened when Google decided to shift its focus from one of the founding pillars of SEO: the keyword matches. This is how the search world used to work: a user would begin a search with a term, which Google takes into its database and brings back matching information. In case there was more than one place with similar information, the engine would rank the websites according to how many times the searched term appeared. Some time ago, because of the simplistic system provided by a keyword-dominated algorithm, black hat strategies quickly became the currency of the online world. Sneaking in as many tricks as possible onto web pages ensured informative links drowned in a sea of sites saying the same phrase repeatedly, which leaves users frustrated, and made research online just as hard as poring through a dozen library books. Fortunately, finding something online is now as easy as asking a question, not from an expert, but from your phone. Getting the results users need doesn’t depend on finding the right words anymore. The information is available to anyone who can ask a simple “where, what, when, and how” questions. What Does the Search Say? 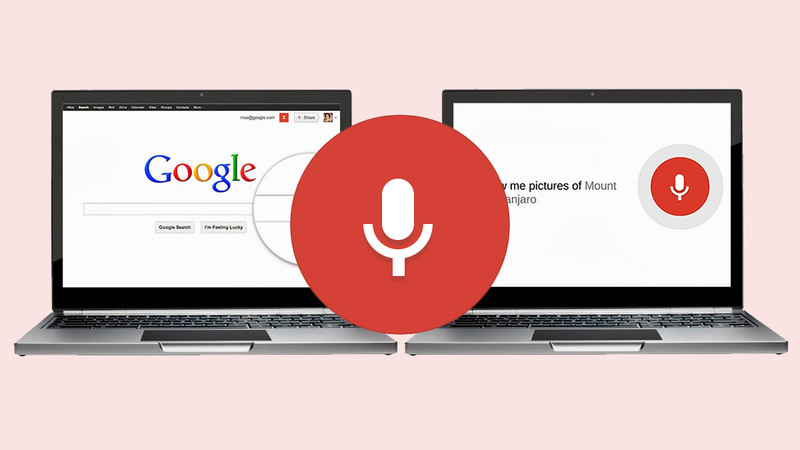 Voice Search is an audio-based feature on smartphones and desktops that looks at the substance of a query, rather than the terms used to form it. The program can understand what the users want and give them the best answer from the web. It was clear from the black hat days that everyone needed and deserved a more proactive search pattern to create a better system. This thinking led to one of the most important updates Google ever released — the Hummingbird. Hummingbird was the first major update to the algorithm since 2001, focusing not just on the search terms, but the context in which the user puts those terms within. Instead of relying on matches, Hummingbird put emphasis on semantics and natural language, to create a conversational interaction, effectively making keyword stuffing a liability. Hummingbird is similar to Google’s “Knowledge Graph” in the sense that it’s capable of understanding the relationship of keywords in a query. The goal of these programs is to make interactions more human. And Voice Search is the extension of that goal. Both Hummingbird and Voice use conversational language to understand what the user wants when they begin a search. Only the websites that provide the answer are shown. Specific questions need specific answers, which mean only one thing in SEO: long tail. Investing in long tail pages allows a website to provide in-depth, specific, and quality content to queries. These weren’t used very much because it takes a specialized search to get to these pages. Voiced Hummingbird changes all that and these are now hot ticket items. Nothing is more human than talking, and turning search into an actual conversation is the natural progression from making search more conversational. Proactive search is the ultimate goal of both projects, and they’ve made steady progress in that direction. Bjorn Von Possel had no idea what SEO meant prior to working for TrueLogic Online Solutions. Before coming to the company he worked in newspaper advertising, and customer support. He’s a member of the Aegis Jvris Fraternity and hopes to continue his studies in law. When he’s not writing, he blows his money on comic books, pizza, and ice cream.